In partnership with the Virginia Museum of History & Culture (VMHC) and the Commonwealth of Virginia, the City of Richmond will co-host the official dedication of Arthur Ashe Boulevard on Saturday, June 22 at 11 a.m. on the museum’s front lawn, 428 N. Arthur Ashe Boulevard. The dedication will include remarks from local and state elected officials and a ceremonial sign unveiling. The event is free and open to the public. Growing up in Richmond, Virginia in the 1950s, and denied access to Byrd Park, the premier, all-white recreational facility, Ashe learned to play tennis in the city’s park for blacks, Brook Field. At 18, in 1961, Ashe became the first black player to win the previously all-white National Interscholastic tournament in Charlottesville, Virginia. Two years later, he became the first black player selected for the U.S. Davis Cup team. In 1968, he became the first black man to win the U.S. Open. But Ashe didn’t stop at the U.S. border: In 1973, during apartheid, he traveled to Johannesburg to become the first black player to compete in the South Africa Open. The memory of segregation-of separate but unequal - would lead him to become a lifelong integrationist, both in his words and actions. The event also coincides with the opening of the VHMC groundbreaking exhibition, Determined: The 400-Year Struggle for Black Equality. Determined explores the black experience from the 1619 arrival of the first enslaved Africans in English North America to the present day. The exhibit traces the ways in which black people have profoundly shaped the course of American history and the nature of American democracy through their fight for freedom, equality and justice. Determined features dozens of artifacts that tell the compelling stories of a selection of remarkable Virginians, including Arthur Ashe, Jr. Click here to view the VHMC release further detailing the exhibition. On June 22, the public will be invited to park at the Arthur Ashe Center, 3001 N. Arthur Ashe Boulevard. Shuttles will operate on the Arthur Ashe Boulevard corridor to assist with public attendance. The official sign unveiling will occur in front of VMHC beginning at 11 a.m. After the unveiling the museum will be open free to visitors to view the new exhibit. In addition, the City of Richmond will be hosting an Arthur Ashe Boulevard Community Celebration starting at 1 p.m. at the Arthur Ashe Center. The community celebration will be open to the public and will include tennis clinics, musical guests, food trucks and more. For more information on the VHMC, contact Lizzie Oglesby, Manager of Public Relations and Marketing, VHMC at loglesby@VirginiaHistory.org or call (804) 342 – 9665. For more information about the event, contact Tamara Jenkins, Public Information Manager, City of Richmond Parks, Recreation and Community Facilities at tamara.jenkins@richmondgov.com or call (804) 646 – 1087. Under the new schedule the exact scope of the planned work will be clarified and applicants will be charged based on that work and the time it will take to complete it. Currently all permits are separated into five classes. The revisions will make the city uniformly consistent with other municipalities. Mayor Levar M. Stoney today announced the appointment of three highly skilled professionals to fill three executive positions currently being held by interim appointees. Sharon Ebert has been selected to serve as the new Deputy Chief Administrative Officer for the Economic and Community Development Portfolio. Douglas Dunlap has been named as the Director of Housing and Community Development. Valaryee Mitchell, interim Director of the Office of Community Wealth Building, has been appointed to lead the office on a permanent basis. 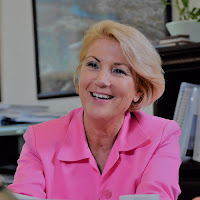 Sharon Ebert has more than 25 years of experience working in state and local government. Her work experience has resulted in over a billion dollars in investments in areas of economic and retail development, tax credit financing, historic preservation, mixed-income and mixed-use redevelopment. Ebert previously held positions in New York City, Yonkers, NY, Philadelphia, PA, and Bridgeport, CT. As the Deputy Commissioner of Planning and Development in Yonkers, NY, She was responsible for all economic, community and real estate development activities undertaken by the city, as well as all planning activities including master and urban renewal plans, neighborhood and downtown revitalization and affordable housing. Most recently, Ebert served as Director of Community Development in the City of Johns Creek, GA where she oversaw planning, zoning, land development, building, permitting, and code enforcement activities. She holds a Bachelor of Architecture degree from Rensselaer Polytechnic Institute and previously held the credential of a registered and licensed architect while working in New York. Douglas Dunlap has been employed with the city for 19 years, during which time he has served in several capacities across multiple departments. Previously serving as Deputy Director of the Department of Planning and Development Review and most recently Interim Deputy Chief Administrative Officer. Dunlap has more than 25 years of experience in public administration in areas of planning, housing and community development. 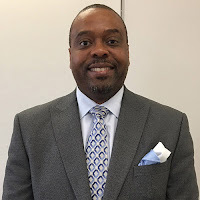 He also holds a Bachelor of Arts degree in Economics from Hampton University as well as a Master of Urban and Regional Planning from Virginia Commonwealth University. Prior to joining the city, Dunlap was employed with the Better Housing Coalition where he managed its homeownership program overseeing Cary 2000 and Jefferson Mews homeownership phases. Valaryee Mitchell has more than 18 years of progressive experience with workforce programs including those serving youth, adults, people living in poverty, dislocated workers, re-entry and business. In her previous role as Workforce Administrator she provided leadership and oversight for the City of Richmond’s workforce development initiatives including the Career Stations, BLISS Program, Business Services, and Mayor’s Youth Academy. 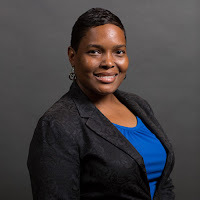 Valaryee received her bachelor’s degree from Hampton University in Political Science and her Master of Public Administration from Virginia Polytechnic Institute. Prior to coming to the Office of Community Wealth Building Mitchell was the Statewide One-Stop Coordinator for the Virginia Community College System (VCCS). During her tenure with the VCCS she established a One-Stop Certification process that reviewed continuous quality improvement in 18 American Job Centers across Virginia.